Broad beans, green beans, French beans, borlotti beans, baked beans … the list of bean varieties is endless, and this delicious recipe collection features many different ways to prepare and cook them. In most cases, the whole of the bean can be used in cooking, from the tender young sprouts, to the early green pods, or the mature seeds. 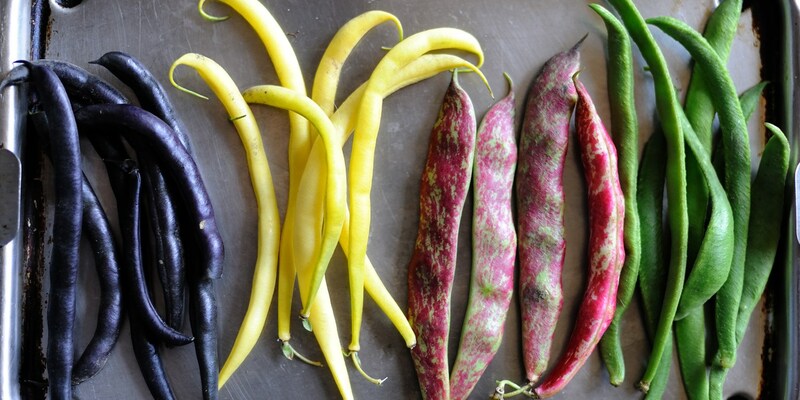 Although different bean varieties have their own flavour profiles, they also work very well as carriers of stronger flavours, and are a great way to add bulk and sustenance to dishes. Marcus Wareing transports us to sunny Spain with his chorizo-crusted monkfish and spiced haricot beans, while Marcelo Tully evokes Brazilian street food feasts with stuffed crispy black-eye bean cakes (acarajé with vatapá). Our collection also includes bean recipes with a little more finesse, including Phil Carnegie’s silky smooth white bean velouté with langoustine, and Steven Smith’s panko-crumbed turkey salad with lavender and honey dressing.